With his smooth lyrical voice, dynamic phrasing, and charisma, Peter Liu has emerged as one of the leading jazz vocalists in the National Capital Region, with a steadily rising profile. He has a wide vocal range and he has established a reputation for his ability to sing in a variety of jazz styles, grooves, and tempos, and to tell his stories with clarity and authenticity. Peter performs songs that evoke the full range of emotions involved in love relationships and the complexities of life, with a meaningful musical conversation shared between musicians and with the audience. Inspired by jazz greats such as Chet Baker, Mel Torme, Jack Jones, and Kurt Elling, he has developed his own unique and captivating vocal style, always with a caring, playful and uplifting spirit. Born in Brooklyn, New York, he graduated from New York University, completed doctoral studies in clinical psychology at the University of Vermont, and moved to Ottawa, Ontario, Canada in 1998. With a musical background in clarinet, bassoon, and vocal performance, Peter began training intensively in vocal jazz in 2007. Over the years, he has studied closely with Montréal based Sharada Banman for jazz vocal coaching, and with Ottawa’s own Laurence Ewashko for classical voice training. Peter has attended the Jazzworks Summer Jazz Workshop four times between 2008 and 2014, where he engaged in intensive combo work with top Canadian musicians, including Sharada Banman, bassist Kieran Overs, and guitarist Kevin Barrett. He has studied with jazz legends Sheila Jordan and Kitty Margolis, and in April 2012, Peter was a featured masterclass student with Peter Eldridge, of New York Voices fame, as part of the "Manhattan on the Rideau" series at the NAC's Fourth Stage. Peter Liu performs regularly throughout the Ottawa area at public and private events as bandleader and as special guest for other groups. He has been honoured to share the stage with celebrated vocalists Alex Pangman, Wallis Giunta, Kellylee Evans, and Fawn Fritzen. 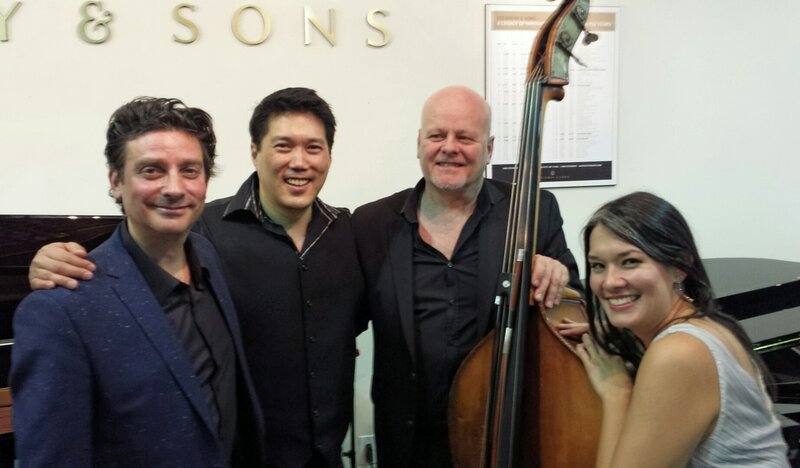 In 2014, Peter also founded Jazz Lines Vocal Quartet, performing professional level vocal jazz in tight harmony, both a cappella and accompanied. Recent highlights include performances at the Ottawa International Jazz Festival, Merrickville’s Jazz Festival, the Canadian Tulip Festival, the National Arts Centre, the National Gallery, and Rideau Hall. He has also been thrilled to play for Almonte's JazzNhouse concert series, the Ottawa Swing Dance Society, Asian Heritage Month, and at many area restaurants, pubs, and clubs supporting live jazz. Peter is one of the hosts of "Swing is in the Air" on CKCU 93.1 FM, airing on Sundays from 4:00pm to 6:00pm, where he presents his favourite selections of vocal and instrumental jazz. Shows can be heard locally on local radio, worldwide through live streaming, and archived shows are available through the program's webpage. 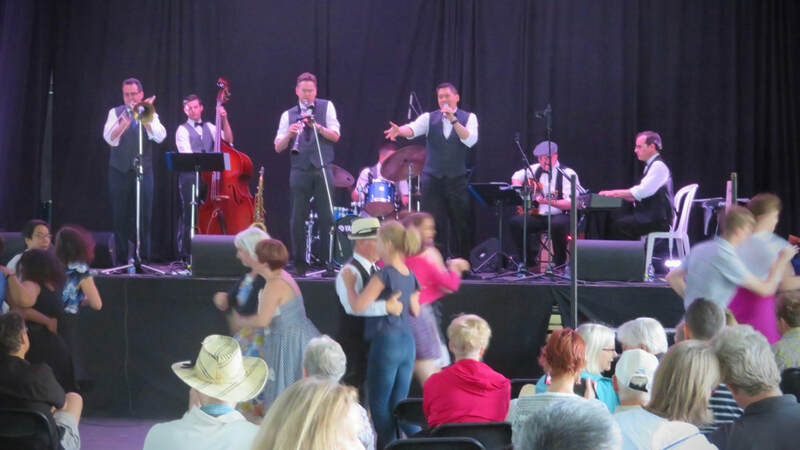 Peter has also planned large scale jazz events, such as founding the annual Ottawa SwingFest at the Canadian War Museum, and co-founder of Ottawa Summer Swing. He is an avid swing dancer, educator, and public speaker, and is committed to lifelong learning, growing, and community building.